Anthony McCaskey is a partner in the Newark office of Lewis Brisbois and a member of the General Liability and Aviation Practices. Mr. McCaskey is a seasoned litigator practicing in state and federal courts in New Jersey, New York and Pennsylvania for over 20 years. His area of concentration is general liability including material handling and heavy equipment accident cases; product liability and toxic torts; construction and workplace accidents; commercial premises liability; aviation, truck and transportation accidents; insurance coverage disputes involving first and third party coverage issues; and contractual indemnity disputes. Mr. McCaskey has tried cases and argued appeals in the New Jersey Superior Court, Supreme Court of New York, the Superior Court of Pennsylvania and the United States District Court and Circuit Court of Appeals. 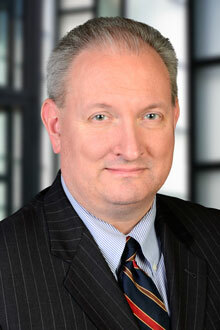 Prior to entering private practice, Mr. McCaskey served as an intern to United States District Court Judge Alfred J. Lechner, Jr. and United States Bankruptcy Court Judge Novalyn L. Winfield. Mr. McCaskey is admitted to practice law in the States of New Jersey, New York and Pennsylvania, the United States District Court and the United States Court of Appeals for the Third Circuit. He has also served on the New Jersey State Bar Association Judicial Administration and District Ethics Committees and has presented seminars on general liability, material handling and heavy equipment accident cases, product liability, New Jersey’s Tort Claim Act, professional liability, and sports liability and risk management. Mr. McCaskey has conducted seminars on general liability; product liability; material handling and heavy equipment accident cases; New Jersey’s Tort Claim Act; professional liability; and sports liability and risk management.